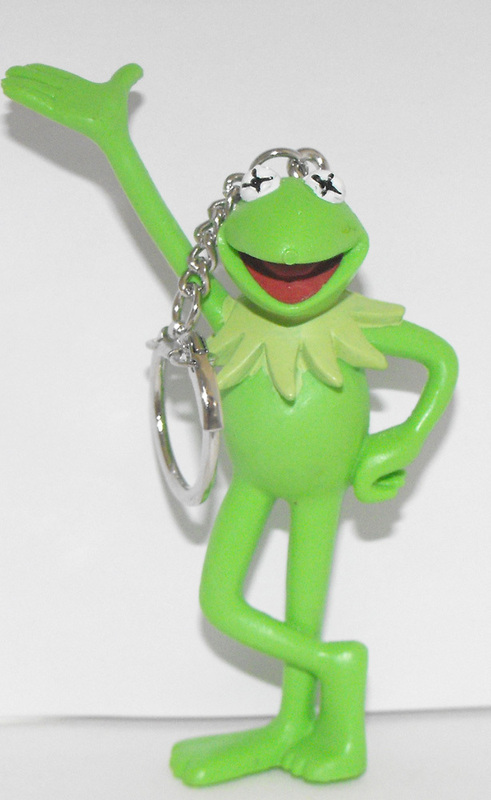 Kermit the Frog from the Muppets 3 inch vintage plastic figurine key chain. The keychain part is made of metal. Figurine is brand new, comes loose without any packaging.